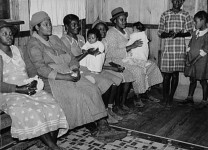 Evidently, there was a need for young married men as well so at the request of Alabama Govenor Bibb Graves and Thad Holt, a new program for married men was started in Alabama. 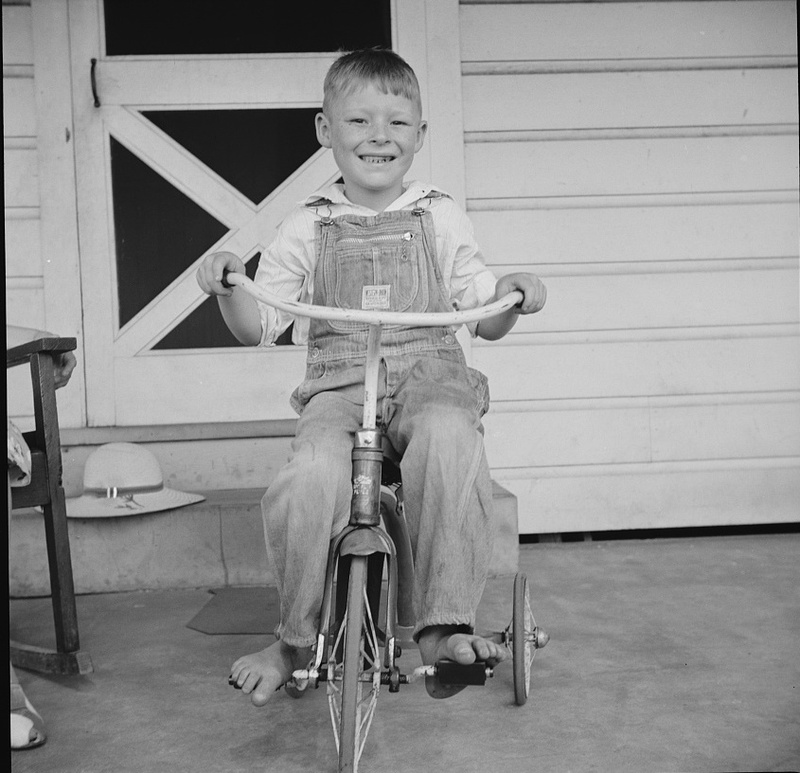 This program was the start of the Rural Resettlement program in the United States which had many names over time, such as Relief Administration Program, and in Farm Administration Program in 1941. 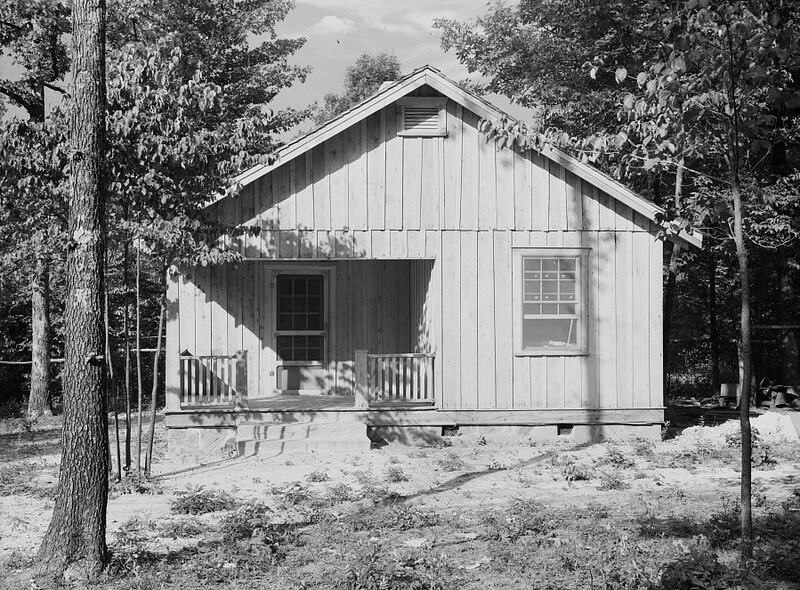 Elba, Ala., October 24, 1935 One of the two “married CCC: camps in the country is proving to the world that the government can aid distressed young married persons and at the same time provide modern farm units for young couples who have been married only a few years. 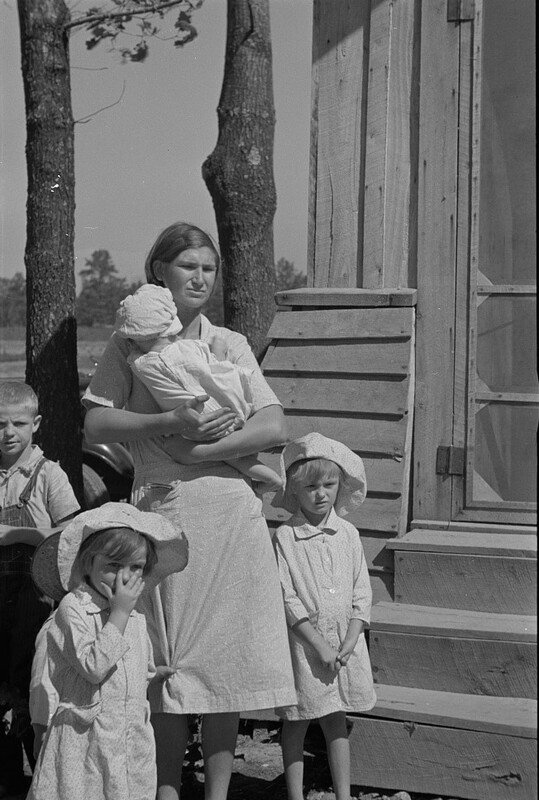 When the CCC camps were launched on a national scale complaints were received from throughout the United States that because only single boys were eligible an injustice had been done to the young married men, out of work and despondent. With complaints ringing in their ears from all sections of Alabama, Gov. Bibb Graves and Thad Holt, relief administrator for Alabama, went to Washington to plead for funds to do something for young married people. 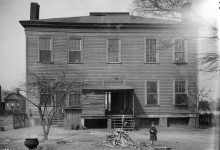 Washington consented, and two campes were established in Alabama – the only two in the United State – where young men not only have a place to stay, but a chance eventually to own a home and a farm. One camp is situated near Elba, the other is situated in the Cumberland mountains in northeast Alabama. 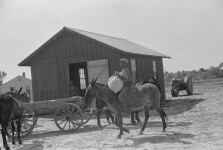 They are units of the Rural Resettlement administration and are rapidly becoming known as “married CCC camps.” They have, however, no connection with the federal CCC. 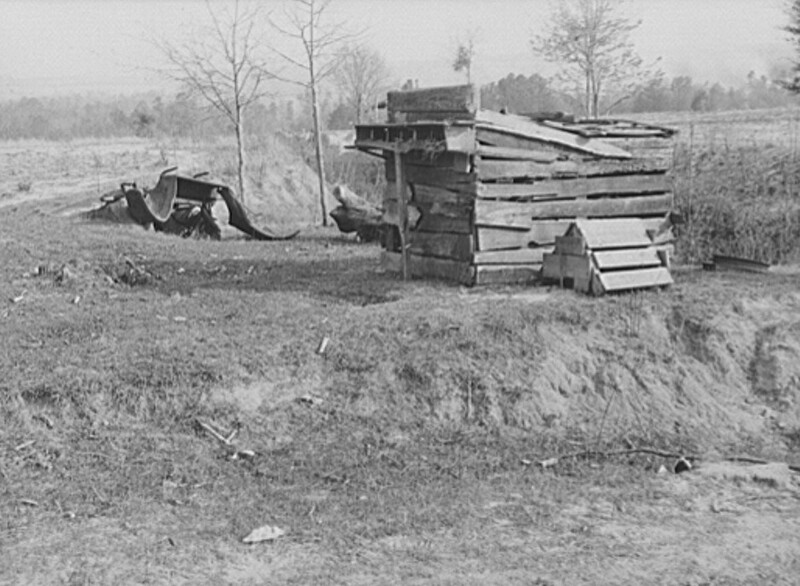 Land which was foreclosed by the Federal Land bank has been turned over to the Rural Resettlement administration and on this land, over a widely scattered area, modern farm houses are being constructed by members of the camp here in Elba and in northeastern Alabama. 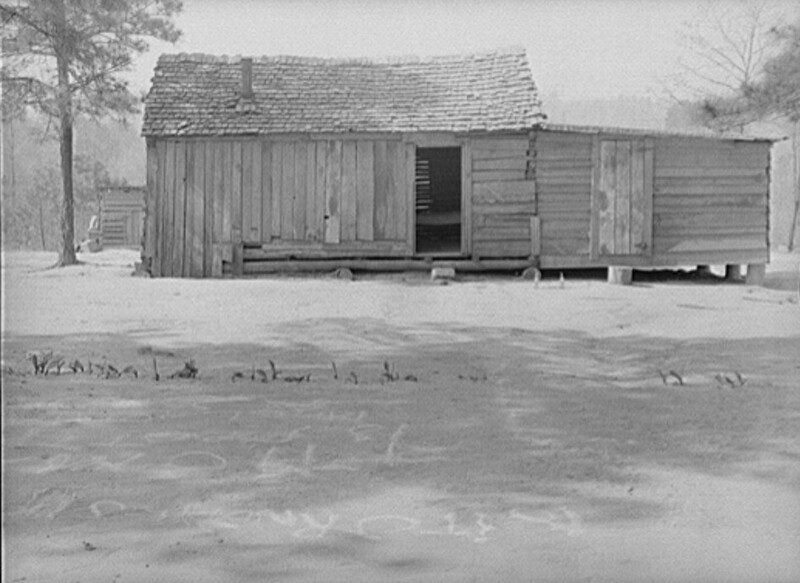 Approximately 300 young men ranging in age from 18 to 25 years were recruited and sent to the camp here. 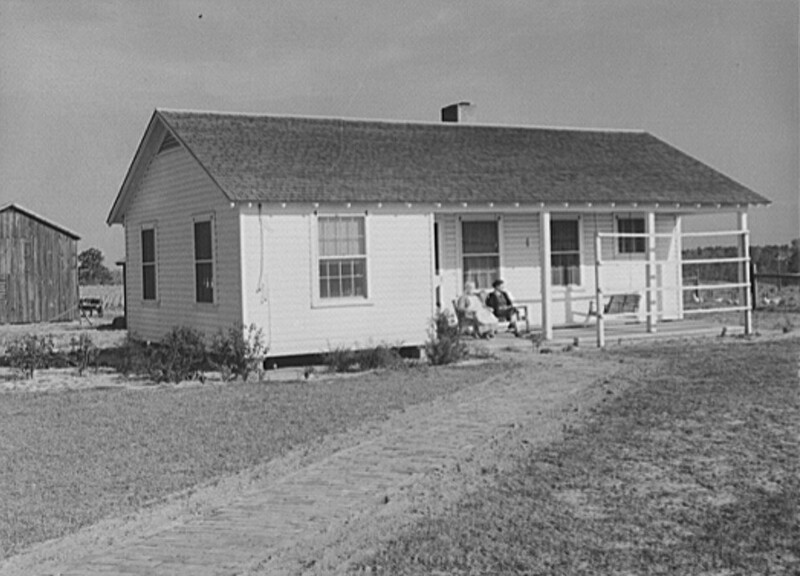 Recently a representative of the Rural Resettlement administration visited Elba from Washington and inspected the beautiful little farm houses being erected for young people. He was enthused over the project. 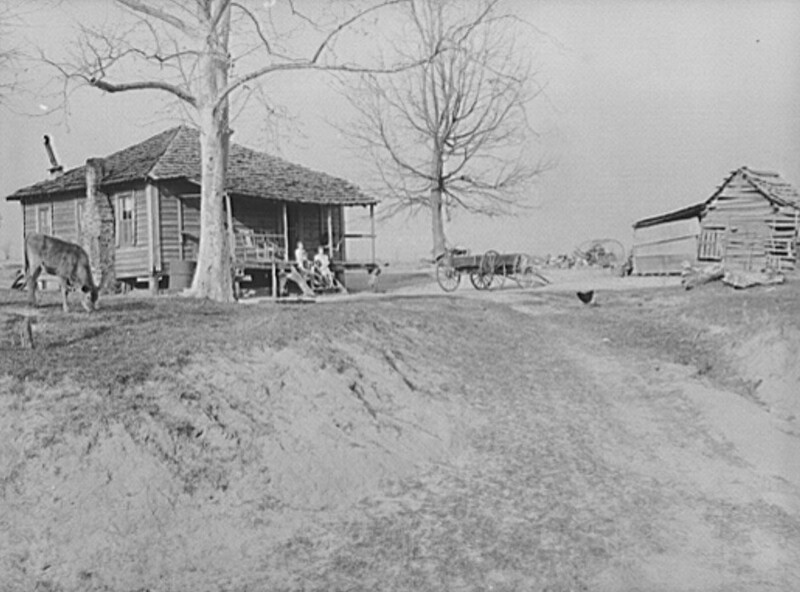 Under the direction of L. E. Ford, a contractor formerly of Birmingham, small farms are being set up by members of the camp on a factory basis. Following completion, they are sold on a plan which, according to Ford, assures the government of getting back the money put into the project. While the young husbands are attending the camp their wives remain at home or else move near the camp. During the enlistment of the men for a period of six months they receive $20 a month, $15 of it going to the wives and five to the boys for spending money. 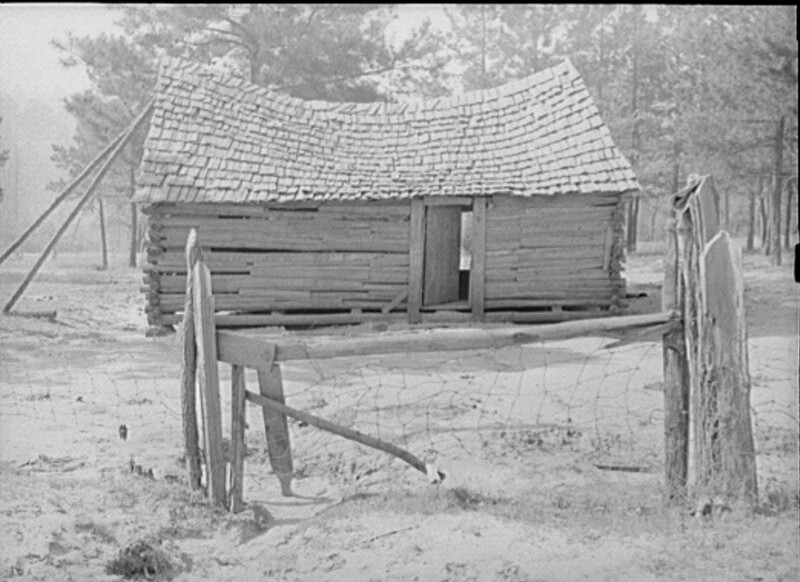 “With virtually only green labor, boys straight from the farms, we are building these little farm homesteads, made up of a house, a barn, a smokehouse, a chicken house and an outhouse. The project is self-liquidating and the government will get back every penny spent on it. 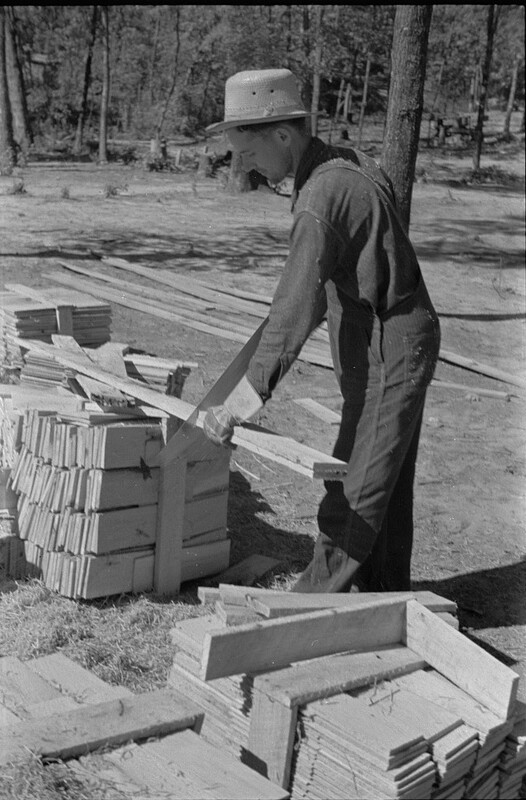 Each house is cut prior to being sent to the site. Each joist or door is made at the mill with the use of patterns These patterns have made it possible to use green labor. 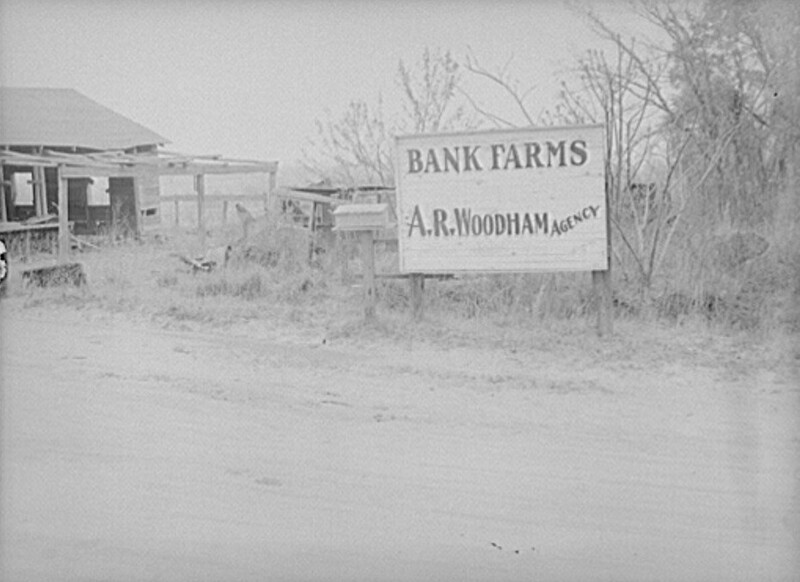 Instead of building the farm units in a colony as is done in a number of other government units, the farms are scattered over an area 29 miles long and 24 miles wide. Maybe one will see two units within a mile of each other and then again it may be five to ten miles between units. One of the happiest couples in Elba today is Mr. and Mrs. A. E. Mills, who have taken possession of a unit. 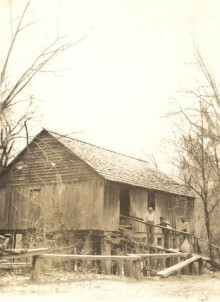 Mills, the husband, was a former sawmill worker. But the sawmills closed down and he found himself out of work. That was yesterday. Today he is farming and has a home that is the envy of farmers in all the surrounding territory. 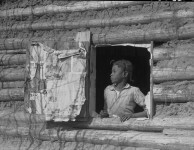 By July 29, 1935, there were 12 districts in Alabama under the new resettlement program. Each district had from 1,100 to 1,300 active cases at the time. Families who had lost their holdings due to debts, illness, bad crops or other causes, could secure loans and supervisory aid in reestablishing themselves on a self-supporting basis. My dad worked for the WPA during the depression. 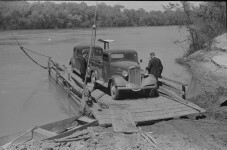 The WPA and CCCs built bridges, state park facilities, etc. The CCCs built the rock wall on the road to Waterloo. They learned how to do things and had self esteem. Part of the Greatest Generation. Young people were given an opportunity to work to sustain themselves. Now the government provides for them and nothing is required. They can watch tv all day or whatever. They learn no skills bBefore someone gets upset, I am not talking about people who are suffering hardship and need temporary help until they can do better; or people who are physically or mentally unable to work. My Grandfather was in it! 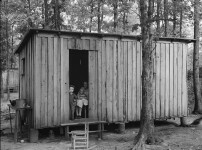 My dad and mother lived in a camp near Heflin where my brother was born! It is wonderful to learn about how the CCC came to be. my dad also worked for the 3c’s…. 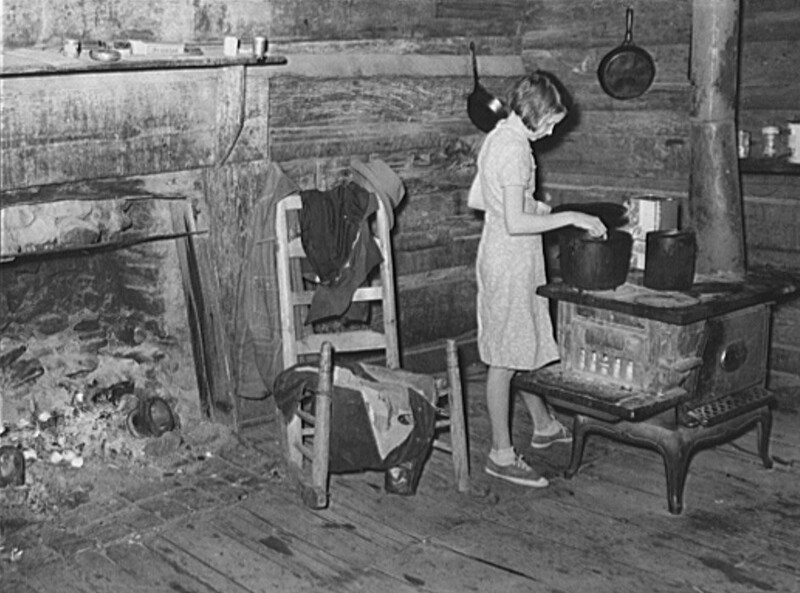 My grandmother’s family was poor even before the Depression hit, so it hit them especially hard. She told me that she, as the oldest, quit school because she had younger brothers and sisters who might have starved otherwise. 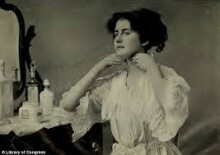 She was the only one to get a job, and she was hired by an Anniston cotton mill. 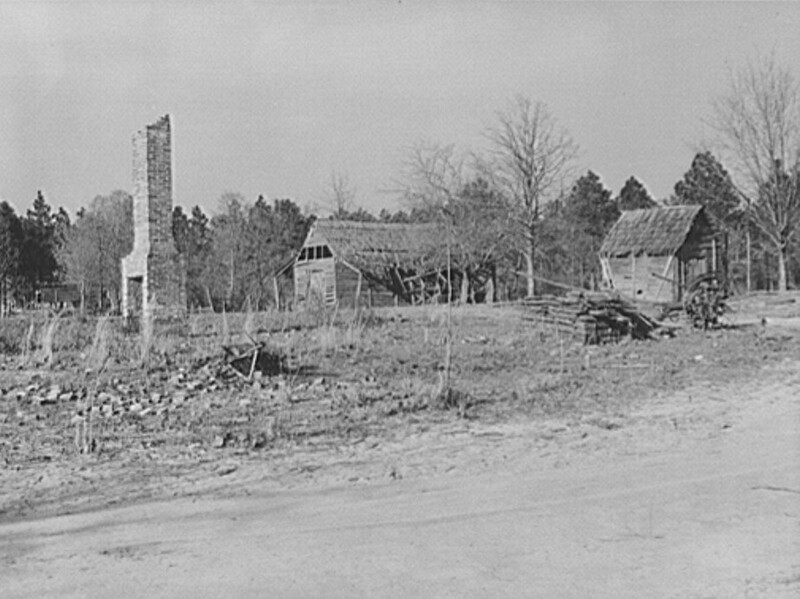 Her brothers went to work for the CCC, and they built the fire tower on top of Cheaha Mountain as well as the roads and other buildings that are still in use today.